Betty Burstall is the most under rated Shaker in Australian Theatre and Film history, bit of a travesty really, certain very successful players should be ashamed. So there is not a real lot of information laying around on her. We hope to get Liz Jones, who took over Betty’s brainchild, David Williamson et al, to assist our humble endeavour, but no doubt we will be ignored. About all we know of her early years so far is that Betty Margaret Rogers was born in 1926. Then most of the credit for her creativity and drive has gone to her husband, Tim Burstall, who she met at the University of Melbourne in the 1940s and were married on 27 April 1948. They later built a mud brick house at Eltham (20 km NE of the CDB). They started Eltham Films there in 1959. A key focus was Australian art films featuring Arthur Boyd and Sidney Nolan. They were also one of the first to really promoted Indigenous art. Then frustrated with the Australian shake-scene they went to the U.S. in 1965. She was determined to establish a performance space like the coffee house theatres she had seen in Greenwich Village. She had been impressed by the potential of these informal theatres to allow for the development of new work and the exploration of relationships between performers and audience. Using La Mama in New York as a model Burstall rented an old shirt factory in Faraday Street and opened La Mama with a production of Jack Hibberd’s Three Old Friends. BETTY BURSTALL, FOUNDER, LA MAMA THEATRE: How did La Mama come about? I was living in New York for a couple of years, and during that time, I was introduced to La Mama in New York. I found it very stimulating altogether and decided when I came back to Australia that’s what I would do. I would start a theatre like this. And I had to find a place. And I needed a place – it had to not have a high rent. A student area was a good idea, I thought. What we now call La Mama was an old factory which was empty. And I looked at it and I liked the look of it. And I decided that it would do as my place. I had a meeting with a few people. I don’t remember how I chose them actually now. But at that initial meeting, there was, um — Graeme Blundell, um — David Williamson, a group of other people, as sort of semi — either university or semi-theatrical people. That initial meeting was enough to make me feel I could go ahead. BARRY HUMPHRIES: We were very restless in the 1960s, trying to find a voice for ourselves. What did happen and what did come out of it, was we did have our own theatre movement. DON DUNSTAN: The most significant influence of all was David Williamson’s. Um — we had had a brief success of an Australian play er — a long time before with ‘The Summer of the Seventeenth Doll’. But it seemed to be a lone thing which was not followed up. A movement started because most theatre doors closed in their faces. …Well Betty Burstall was home and talking passionately of an immediate, rough, hard-hitting theatre with the actor right there next to you, close enough to touch, low-budget, experimental theatre, a workshop where radicalism could be shared between actor and audience, argumentative and questioning… only actors working up close with material developed by writers from their own world. ‘In a sense the medium was the message; the way the thing was done was a powerful as what was done’, is how Oakley would later sum up Burstall’s ideas. We wanted to return theatre to the social act and share common daylight, weather and life… actors and writers even started to produce plays in the car park, on the stairs, and in the streets… It truly was theatre where, as Betty Burstall had promised Barry Oakley, you could touch the actors. Our small movement coincided with the return to Melbourne of a woman called Betty Burstall and her husband, Tim Burstall. Her idea is to bring the New York theatre movement to Carlton, to Melbourne. She finds an old lingerie factory, Faraday Street in Carlton, she calls it La Mama, after one of the theatre companies in New York. We wanted to lock into that, into a very physical, broad acting style that was comic and satirical. Because, influenced by the new politics of that era, we wanted the theatre to be political in a way that the conventional bourgeois theatre in Australia certainly wasn’t. Gradually, around Carlton, this extraordinary group of actors developed. People like Max Gillies and Kerry Dwyer, who eventually became my first wife, Bruce Spence, Peter Cummins. This eventually became the La Mama Company which eventually became the Australian Performing Group, which moves from the La Mama Theatre to another theatre around the corner called The Pram Factory, which really becomes the centre of the whole alternative theatre in that era, now called the New Wave. …It was a time you can’t think yourself back into unless you’re my age, I don’t think, but there was a simmering anger that television was almost totally non-Australian, the occasional Australian novel happened, no film industry at all, absolutely zilch, none, no Australian plays on our stages. In fact, the Melbourne Theatre Company’s articles of association of intent started off…number one was virtually…I can’t recall the exact words but the meaning was ‘to educate and uplift the barbarous natives‘. That was the function of theatre… because we are not a refined nation and theatre is one of the refining influences. It was that sort of scene; our stories weren’t being told, our accents weren’t being used and the alternative theatres at Carlton [La Mama] sprang up fired by the off-off Broadway experience in the case of Betty Burstall, looking for new Australian voices, looking for Australian voices who were prepared to use their own accents, which was rare. So there was that pent up anger against a nation that wouldn’t let its own stories be told. Clearly, without Betty Burstall’s creative iniative and drive in getting La Mama going, Stork would not have happened, and if Stork didn’t happen, then neither would have Alvin Purple and the rest of Tim Burstall’s Film career. Right from the start in the mid 1940s, she was the one that got in with Arthur Boyd shake-scene. It’s interesting to note that Betty Burstall was listed on Tim Burstall’s IMDB brief as an obscure Betty Rogers – no where in her 60+ year career does she use that name. But there are some that recognize her achievements, she was awarded her AO (Order of Australia) years before Tim got his. “… and the 1986 adaptation of D.H. Lawrence’s Kangaroo… launched the film careers of many well-known actors including Bruce Spence, Jacki Weaver, Graeme Blundell, Jack Thompson, John Waters and Judy Davis. His wife Betty, an important figure in her own right, founded the pioneering La Mama Theatre in Melbourne in the late ’60s, where many leading ‘new wave’ playwrights including David Williamson had their first successes, and Tim was an integral part of the fertile creative scene that centred on the theatre. Alan Finney, general manager of Australian-based film distributor Buena Vista International, worked with Burstall in his production company, Hexagon Productions, and helped produce Alvin Purple, Peterson and other films. Tim Burstall died suddenly and unexpectedly on the evening of Sunday 18 April. He suffered a massive stroke while attending a screening of his short films, organised by Eltham Council, the Melbourne suburb where he made his first feature, The Prize. He was taken to hospital, but died soon after, in the early hours of 19 April. Burstall is survived by his wife Betty and his sons Dan, a cinematographer, and Tom, a film producer and husband of actor Sigrid Thornton. Tim Burstall suffered a stroke on Sunday evening during a screening of his films organised by Eltham Council, the Melbourne suburb where he made his first feature, The Prize. He was taken to hospital, but died yesterday morning. Burstall is survived by his sons Tom and Dan and his partner Betty Burstall, the founder of Melbourne’s La Mama Theatre. In the interview Burstall speaks of La Mama Experimental Theatre and Writers Workshop; her aspirations for the theatre and workshop; the selection criteria for plays to be produced in La Mama. Betty sat for several portraits for Arthur Boyd (20/07/1920 – 24/4/1999) in the late 1940s, she would even go around and help out Boyd’s pottery business at Murrumbeena. 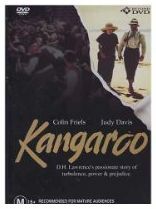 One of the Films particularly relevant to us is the 1986 production, Kangaroo. “He has no illusions about being an actor in Australia. That gives him time for his other great love, horses. He was involved in putting on a horse show in Tamworth that recreated the Battle of Bathsheba and says that put him on cloud nine in a way that theatre rarely does. Still, Friels is always complaining about not getting offered any work. Betty and Tim had two sons, Dan Burstall (b. 1951) a cinematographer, including Kangaroo and Tom Burstall (b. 1954), who started out as a director after graduating from NIDA in 1972, later branching into film risk manager and producer. Tom is very much involved in Australian Film through Cinemedia and acts as a production analyst for several Australian and International Film companies. He is married to actor Sigrid Thornton (b. 1959) – in turn giving Betty at least two grandchildren, Ben and Jaz. Very interesting to read, Mrs Burstll was my french teacher at Eltham High School 1956/1958, in those days I lived not far from her house (and the dam) in Buena Vista Drive, afraid to say that when we did get a chance to travell and went to Paris in 1985 my french was very poor however I remember her fondly and those gorgeous little boys.